This article is the third in a three-part series about Zcash Marketing perspectives and activities. I invite you to look back at the previously published posts: 2018 Zcash Marketing: Year in Review and Quarterly Update: Perspective on the Market Evolution. 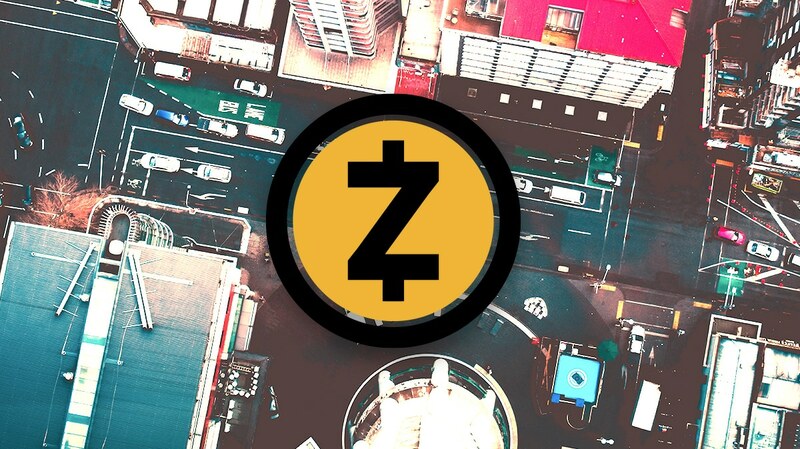 Zcash go-to-market (GTM) activities have been moving beyond the technical and scientific cypherpunk community toward early adopters and the early majority with a need or desire for an alternative store of value (SoV). Geographically, the US and Asia are primary targets for our research, marketing and business development efforts for this use case. In Asia, we are specifically focused on Japan, South Korea, Singapore and Hong Kong for a number of strategic reasons that tie into the vectors discussed in the previous post. We also intend to lightly engage in the Philippines, Thailand, Malaysia and Indonesia. We have a great deal of interest in India, but the current regulatory climate is unfavorable. Secondly, we will research product market fit for using Zcash as a medium of exchange (MoE), with the US and Latin America being primary targets. The emphasis is on full life-cycle use cases (see the customer decision journey below) at global and local levels. Though too early in most cases, the MoE use cases have the greatest potential to spur growth at scale. The near-term goal is not broad MoE adoption, but rather, product research and proofs-of-concept that will lay the seeds for a later groundswell. The GTM emphasis is on full life-cycle (customer decision journey) use cases, focusing first on SoV use cases for near-term full adoption and then exploring MoE use cases in an effort to find product market fit. In a decision journey and subsequent loyalty loop, both the stages and vectors have importance with a representative set of GTM deliverables and activities. Both are action oriented. The stages are fairly intuitive. The vectors are necessary for getting the user to the next stage, and this is often where we have opportunities to remove friction. For example, fiat on-ramps, like exchanges, are a source of friction. A strong MoE full life-cycle use case might require that someone receives Zcash without a fiat on-ramp, like the ability to receive income in Zcash. The outer loop includes the initial set of activities to introduce someone to Zcash. The inner loop is a flywheel. If the user experience is good between stages, the user will continue to use Zcash and pull others into the loop (network effect). 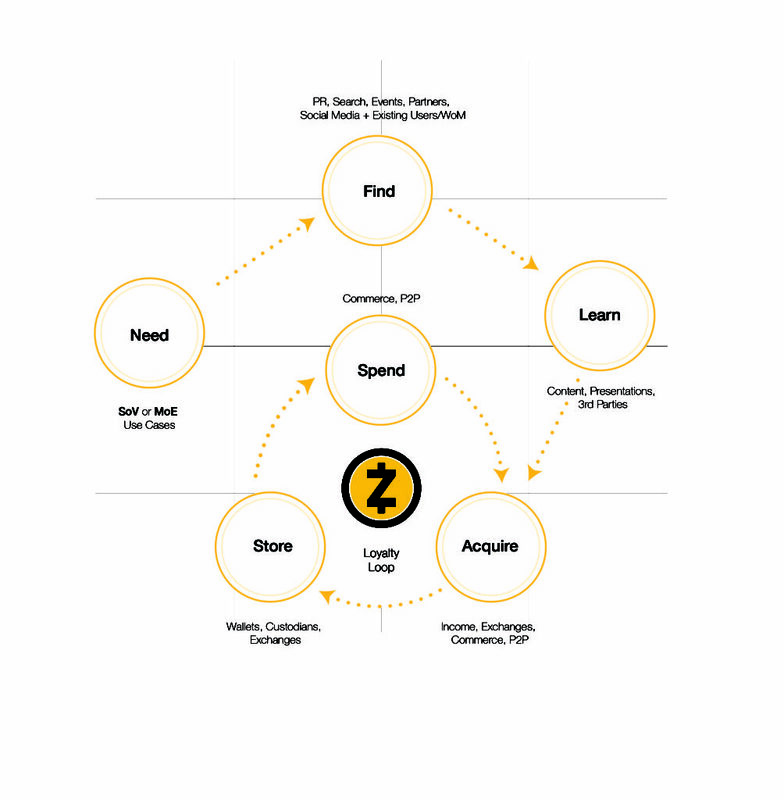 The following plans are organized by the Zcash Company’s stated strategic priorities from the first post in this series. Specific plans for each follow a decision journey in an effort to get someone into the loyalty loop and reduce friction points along the way. Driving adoption of shielded addresses by third parties: The Sapling activation in October changed the market and is opening new doors. Before Sapling, it was too resource-intensive for most exchanges and wallets to support Zcash shielded addresses. Significant marketing and business development efforts will be focused on the third-party adoption of shielded addresses. This will include partnerships in providing user awareness and education, regulatory guidance (to clear up misunderstandings and confusion), documentation and support, a reference wallet and libraries, and lessons learned. Driving adoption of Zcash as an SoV: We intend to market and support features that will appeal to users desiring to invest in Zcash as a SoV, predominantly in the US and Asia. Our activities will include compelling content; event participation (speaking and attending); user research; content localization (specifically targeting Korean and Japanese); and the recruitment of custodians, exchanges and funds catering to institutional investors and family offices. We intend to invest more time and talent in Asia than we have previously. We also intend to engage an Asia-based PR firm focused on traditional financial media and regulatory engagement. Driving adoption of Zcash as an MoE: Our work early in the year will be largely exploratory and focused in the US and Latin America. We will begin market research and explore proof-of-concepts that uniquely align to Zcash and can be fully realized across the decision journey. Research on a number of concepts are, or soon will be, underway. These include education funding, a retail scenario with unique requirements for user and business security, and online marketplaces catering to freelancers. Asia regional head: This person will be responsible for executing our GTM strategy across Asia with a specific emphasis on Japan, South Korea, Singapore and Hong Kong. Latin America community leader: Our community leader will explore opportunities and drive adoption in the region — including MoE use cases, community engagement and third-party relationships — and provide regulatory education as appropriate. Market analyst: The person responsible for market research will help us identify use cases and personas that tie to and validate (or invalidate) our market thesis, help us prioritize product features that will have the greatest impact, and tailor communications to specific contexts. Contract-to-hire paralegal: The paralegal will help reduce our monthly legal fees related to the trademark and other legal matters. Event coordinator: This person will coordinate and manage event details, including speaking engagements, sponsorships, staffing and participation. Quarterly newsletter: In conjunction with the livestream, we’re going to restart the quarterly newsletter so you can keep up with all the latest happenings. Events and Zcon1: We’ll be there and available to engage openly, transparently and with integrity. We are incredibly grateful for all your support. If you haven’t already, please join us. Check out our blog. Share your ideas. Challenge our approach. Wear the shirts and distribute the stickers. Help us create the story, frame the narrative, deliver the goods. Us, you, them, we … are on a mission to empower everyone with economic freedom and opportunity. One step. Then the next.